Ultratec, Inc. owns patents on systems for assisting the hearing impaired in making telephone calls. 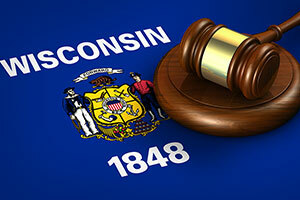 Ultratec sued CaptionCall, LLC in a federal district court in Wisconsin for patent infringement. UltraTec won a $44 million verdict in that case. While that lawsuit was underway, CaptionCall petitioned the Patent Trial and Appeal Board (PTAB) to review the patentability of Ultratec’s systems. The inter partes review that it initiated allows the PTAB to revoke patents on limited grounds. Whether an inter partes review may lead to an unconstitutional deprivation of property, on the theory that the PTAB has no authority to take away a patent that it has already granted, is a pending question before the Supreme Court. That question was not decided in the Ultratec case. Ultratec lost before the PTAB, which caused the district court handling the infringement lawsuit to put those proceedings on hold pending an appeal of the PTAB decision. The issue on appeal was whether the PTAB should have considered the testimony that CaptionCall’s expert witness gave in the infringement lawsuit — testimony that was, in Ultratec’s view, inconsistent with written declarations he made to the PTAB. While the PTAB’s website describes the inter pares review as a “trial proceeding,” the Court of Appeals for the Federal Circuit noted that the review hearings bear little resemblance to a trial. Witnesses are rarely allowed to testify. Parties make written submissions of evidence and are allowed to make a brief oral argument. In the inter pares review, CaptionCall relied on the expert testimony of Benedit Occhiogrosso to challenge the patentability of Ultratec’s systems. Occhiogrosso also testified (and was cross-examined) in the infringement trial. Ultratec filed a motion before the PTAB to reopen the record so that it could submit Occhiogrosso’s trial testimony, which it contended was inconsistent with his declarations to the PTAB. The PTAB denied that motion without reviewing Occhiogrosso’s trial testimony. The PTAB ruled in CaptionCall’s favor in its challenge of Ultratec’s patents. The PTAB relied heavily on Occhiogrosso’s expert evidence in making that ruling, often noting that it considered Occhiogrosso to be more credible than Ultratec’s expert witness. Ultratec appealed to the U.S. Court of Appeals for the Federal Circuit, arguing that the PTAB should have considered Occhiogrosso’s trial testimony before deciding that his declarations were credible. The Court of Appeals for the Federal Circuit reversed the PTAB. The appellate court concluded that the PTAB had no legitimate basis for refusing to consider the testimony Occhiogrosso gave in the infringement trial. Ultratec could not have submitted that testimony before Occhiogrosso gave it, so Ultratec was justified in asking to supplement the record after evidence was closed. The Court of Appeals disagreed with the PTAB’s conclusion that it would not be in the interest of justice to consider Occhiogrosso’s allegedly inconsistent testimony. Inconsistency on a decisive issue would have been highly relevant both to the PTAB’s substantive decision and to its assessment of Occhiogrosso’s credibility. Reviewing that evidence would not have been burdensome, and refusing to consider it was not something a fact-finding tribunal could reasonably do. The court also concluded that the PTAB lacked the information it needed to make a reasoned decision about the importance of Occhiogrosso’s trial testimony, since it refused to review that testimony. The court faulted PTAB for adopting procedures that require it to decide whether to supplement the record with evidence that it never sees. Those same procedures prohibited Ultratec from submitting the testimony with its request to supplement the record, which prevented the Court of Appeals from reviewing the testimony in deciding the appeal. And since the PTAB denied the request during an unrecorded conference call and failed to enter an order explaining its decision, the PTAB did not comply with its obligation to present a full and reasoned explanation of its decision so that it can be reviewed in a meaningful way on appeal. On remand, the Court of Appeals ordered PTAB to consider Occhiogrosso’s trial testimony. If, as Ultratec alleges, the testimony is inconsistent with the declaration that CaptionCall relied upon, the PTAB must decide whether that inconsistency specifically pertains to the patentability of Ultratec’s system and whether it more generally affects Occhiogrosso’s credibility as an expert witness.